Héninel is a village in the Department of the Pas-de-Calais, 10 kilometres south-east of Arras and 3 kilometres south of the straight main road from Arras to Cambrai. 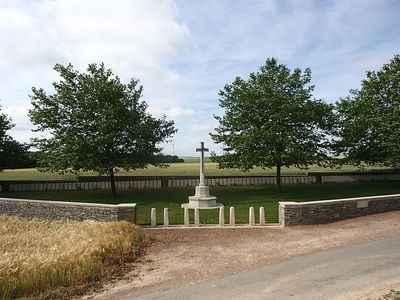 Bootham Cemetery is a long row of graves, nearly 2 kilometres east of Heninel on the south side of the road to Cherisy. 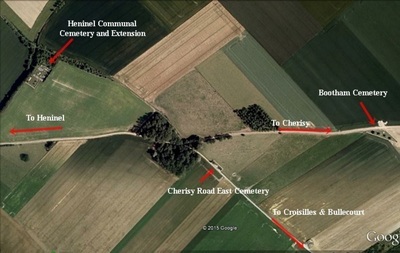 From Heninel centre take the Rue St Germain and then a 1 kilometre track to the cemetery. 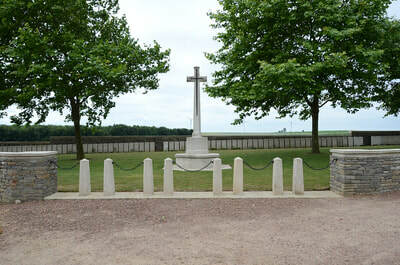 Héninel village was captured in a snowstorm on 12 April 1917 by the 56th (London) and 21st Division. 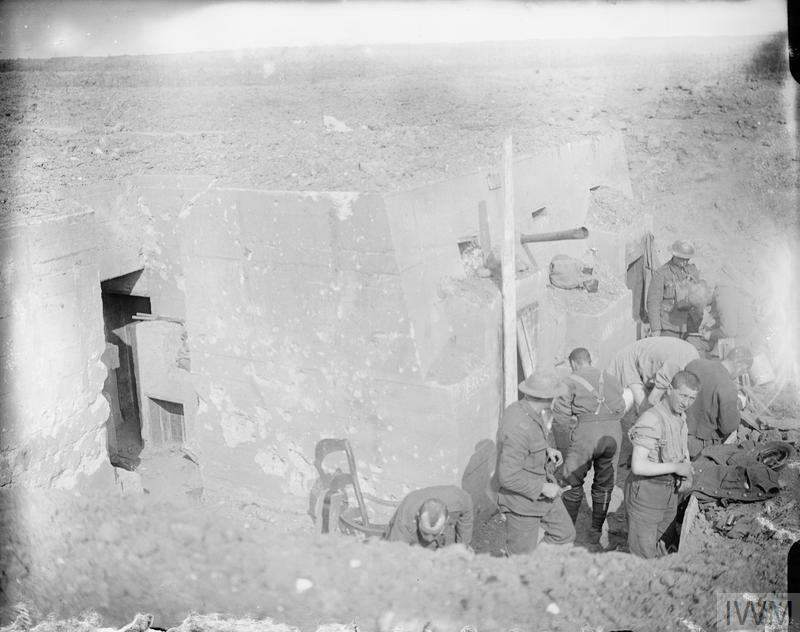 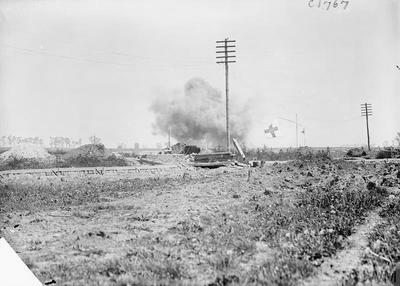 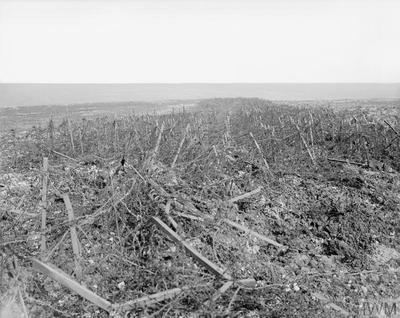 The 50th (Northumbrian) Division, advancing from Heninel on the two following days, captured Wancourt Tower. 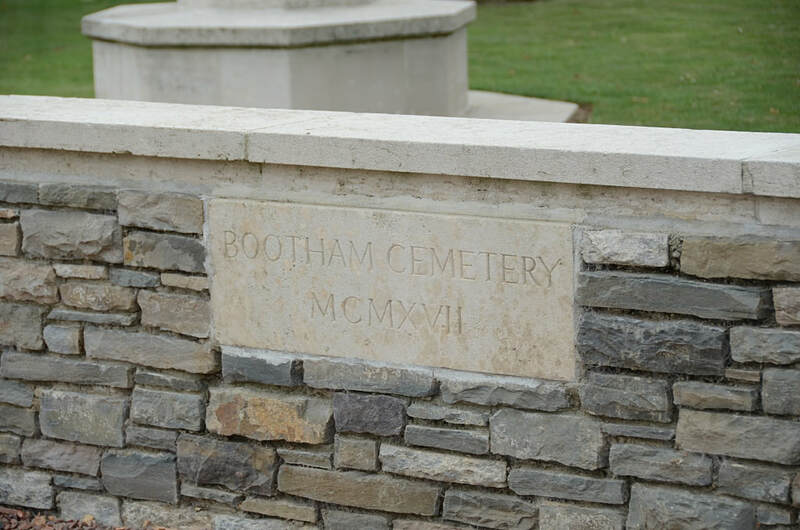 Bootham Cemetery was named from a trench, which in turn was named from Bootham School in Yorkshire. 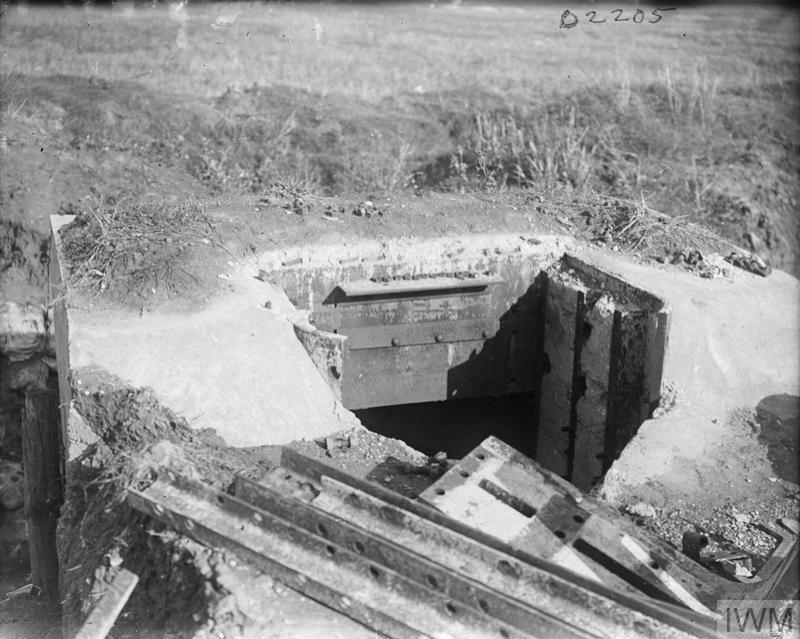 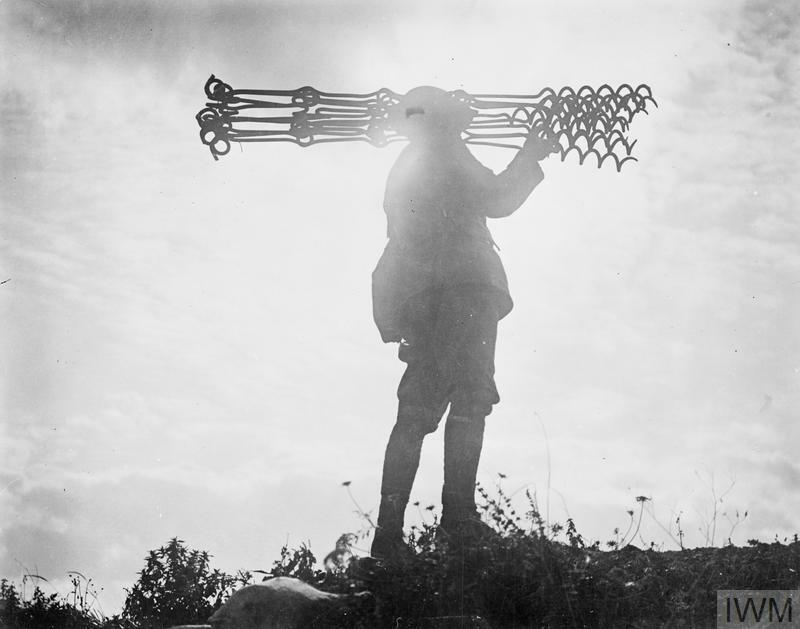 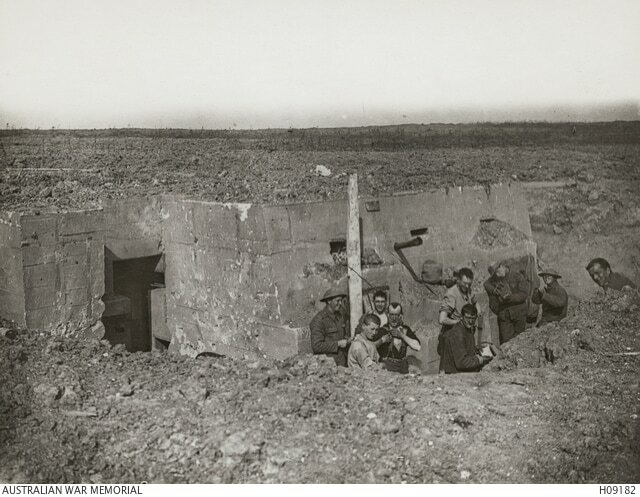 It was made in April 1917 by the 56th Division Burial Officer. 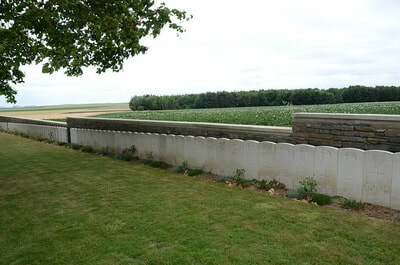 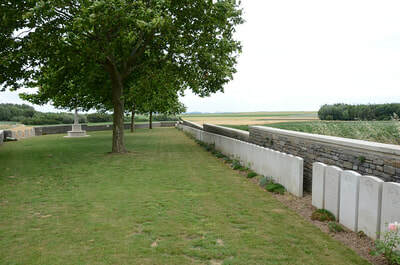 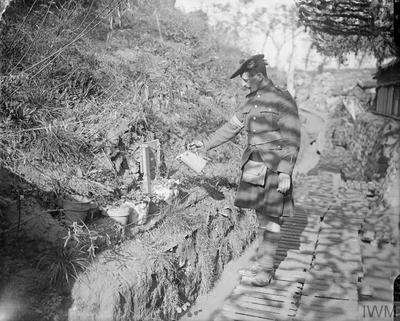 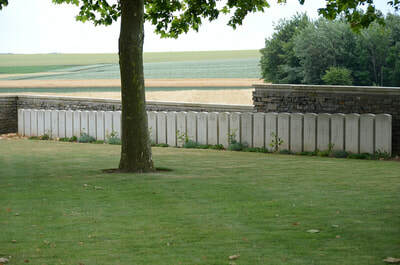 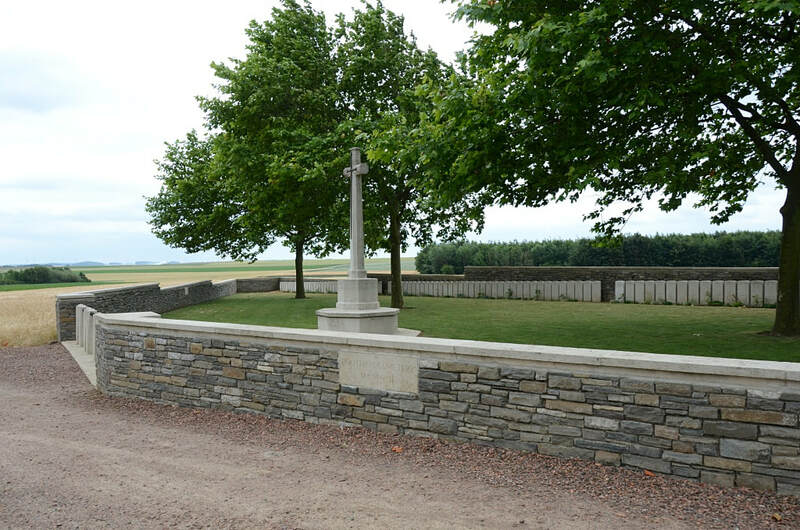 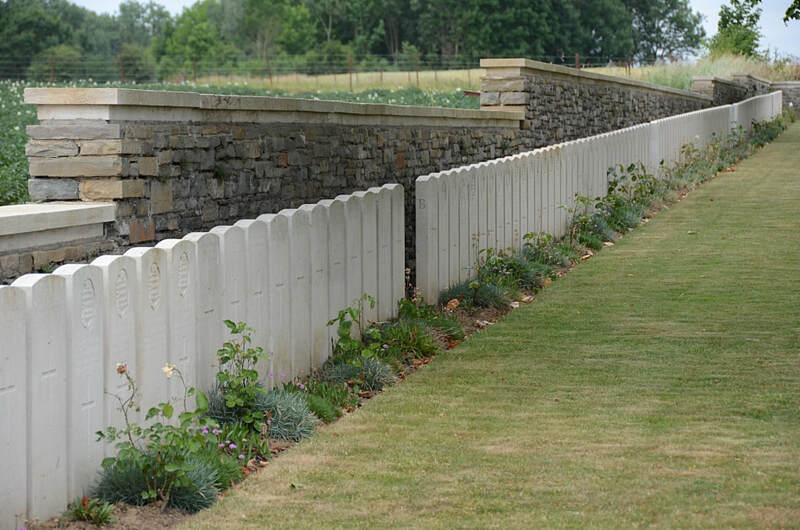 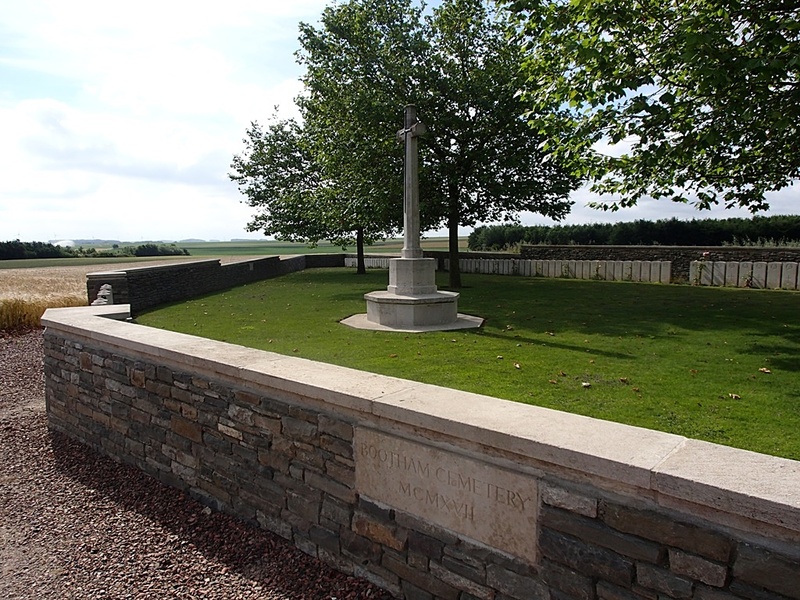 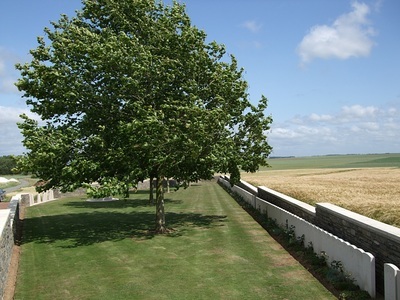 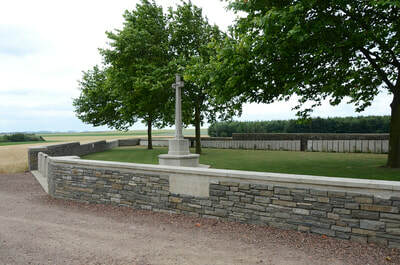 The cemetery contains 186 First World War burials, 71 of them unidentified. Son of Mr W. Butcher, of 8, Winthorpe Rd., Putney, London. 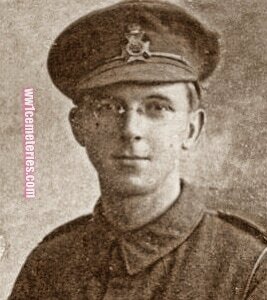 23rd April 1917, aged 18. Son of Mrs. Isabella McK. 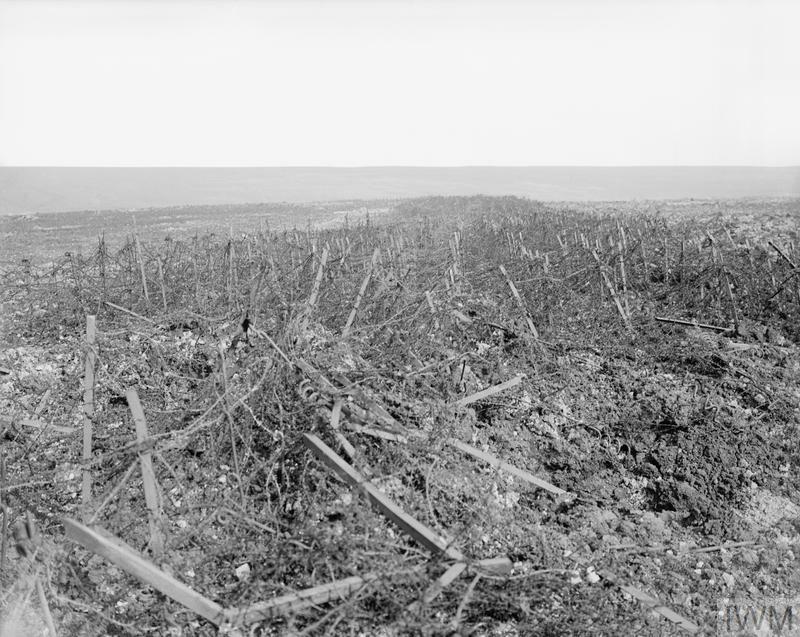 Lamont, of 43, Market St. East, Glasgow. 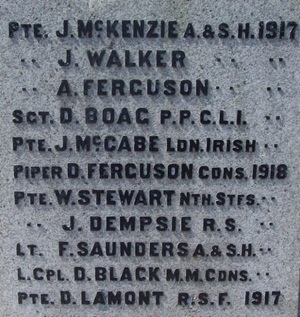 Duncan's name is also memorialised on the Kingarth War Memorial, Isle of Bute, Scotland, where he was born and raised.